If you are looking for a reputable, local and highly respected company, experts in Plantation Shutters you have come to the right place! Just Shutters has the finest and broadest range of Interior Plantation Shutters in the UK and with our unbeatable reputation, value for money and lifetime guarantee, you can’t go wrong for your. Call us now on 01962 670157. Since 2006, Just Shutters have been dedicated to creating the finest shutter solutions possible, listening and working with our customers to provide the very best, whatever their taste and style. Rob Wardle, your local Just Shutters expert, is delighted to bring the best shutters in the world to Basingstoke, Whitchurch, Oakley and the surrounding areas; with the largest choice of materials and finishes – all complete with our unsurpassed service. Shutters are often thought of as a luxury purchase, one made with the heart rather than the head, however shutters really do offer the best of both worlds. 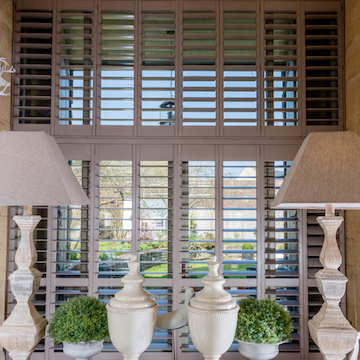 With style and elegance, coupled with practicality, shutters are the perfect solution for windows and doors. Shutters offer great value, there is no need for laundering and don’t go out of style, shutters add value to your home, are energy efficient and come with our Just Shutters lifetime guarantee. Meaning that luxury shutters don’t have to break the bank. 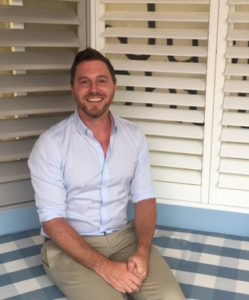 Rob (as pictured above) is your local shutter specialist, not only trained to the highest Just Shutter’s standard, but a natural with hands on carpentry and building experience, Rob brings a highly skilled and real love to his business. Just Shutters Basingstoke offers a personal service that is highly valued by customers. From initial survey through to order and installation, customer service is at the core of our business. Let us show you what we can do for your home and how unbeatable we are in our service, quality and value; call us today on 01962 670157 or follow the links below to get in touch. Shutters delivered within original time scale. Very pleased with overall result. Furthermore would definitely recommend them. Shutters fitted to five windows. Measure + fitting of plantation shutters. Supply and fit internal shutters to 9 windows.